Mobility Capital Finance, Inc. (“MoCaFi”) is building a platform that reimagines how financially underserved individuals can live. MoCaFi seeks to provide people with the opportunity to migrate from alternative financial services to more mainstream offerings via a mobile app. In doing so, MoCaFi will promote financial wellness by allowing its members to share ideas and learn best practices, as well as access better financial products and services. MoCaFi’s intention is to disrupt the $144 billion alternative financial services (“AFS”) market, which includes payday lenders, car title lenders, and check-cashing services, by leveraging mobile technologies, analytics, and digital user acquisition strategies. Many of the underbanked are young, so they lack significant credit history. They also tend to be from lower-income households, less-educated households, black and Hispanic households, and working-age disabled households. Importantly, income volatility – meaning income that varies quite a bit from month to month ­– brings with it a higher likelihood of being underbanked, even among households with higher levels of income. The problem is compounded further when financial literacy is taken into account. Per a 2015 study led by Standard & Poor’s, fewer than 60% of adults in the U.S. are financially literate. Americans overall rank 14th in the world in terms of financial literacy, and millennials rank 21st. MoCaFi sees opportunity in these macro-trends. 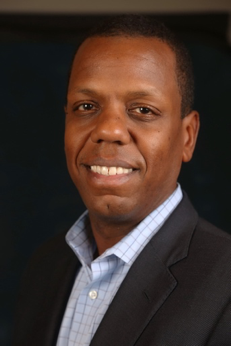 Wole Coaxum is MoCaFi’s founder and CEO. He spent over 20 years in financial services, working in commercial banking, investment banking, consumer & small business banking, transaction services, and insurance. He has been a senior leader at Citigroup and at J.P. Morgan Chase, and CEO of Willis Canada. MoCaFi is currently located in the CUNY Hub for Innovation and Entrepreneurship in New York. Wole Coaxum, a Founder and Chief Executive Officer of MoCaFi. Q. Wole, what prompted you to found MoCaFi? A. I was very much a part of the mainstream financial system, working with small business and individuals for the last 20 some-odd years. I was fortunate to see the impact that financial services can have in terms of creating jobs and opportunities for individuals and families. And then at the same time, I saw a real shift in this country in terms of some of the social justice conversations we were having, particularly two to three years ago, where you got the sense that there were people who were outside the political and financial mainstream and very frustrated. They were expressing their frustration in traditional ways, with marches, with sit-ins. We’ve done that, historically, to good effect, but social issues need to be coupled with a thoughtful and strategic economic plan; and if you don’t have both, it’s sort of like one hand clapping. That’s not going to give people an opportunity to reimagine their lives and engage in society in a different way. So I thought, how can I impact that conversation based on the work that I’ve done over time? I thought about buying a bank, but that has its own challenges. And very few new banks have come into existence in recent years – just a handful. So that didn’t make a lot of sense. And being a bank doesn’t give you the kind of scale and reach I wanted. I also thought about raising a fund, but a lot of smart people have already raised funds. Most recently, I was at JP Morgan, running sales for Business Banking. We had 2.3 million customers and I was responsible for 12,000 bankers working with 5,600 branches. We spent a lot of time thinking about how we could use technology to create a better customer experience. I realized that if we can do this for Chase customers, we can do it to address some of these issues for underserved communities across the country. The other piece that struck me is the number of payday lenders and check cashers we have. They dwarf the number of McDonald’s locations. When I realized they represent a $140 billion industry, I thought maybe I could impact this conversation. Our friend Tom Hutton encouraged me to think about starting a business to address some of these issues in a way that leverages my skill set and the newer technologies. Q. When are you planning to launch? Q. 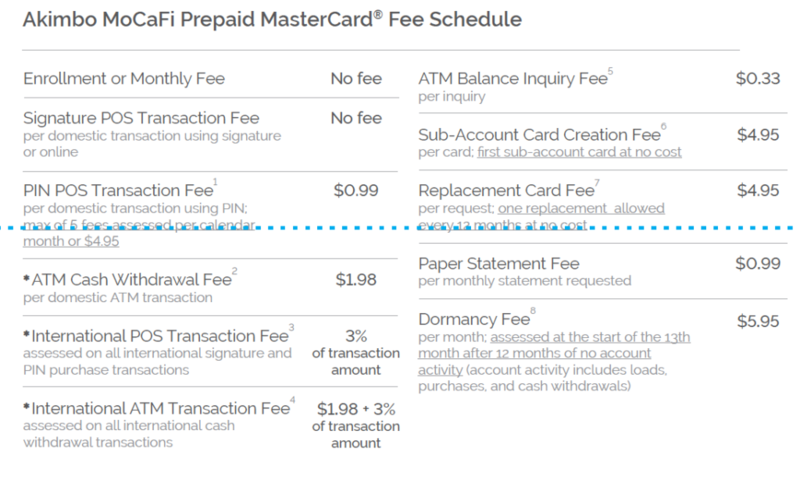 What fees will you charge on the prepaid card? A. Pricing models in the market are all over the map. Some people are charged a monthly fee, and they’re charged to put money on the card and take money off the card. They’re often not the best deals. Our intention is to have no monthly or enrollment fee on the card and to charge transaction costs for a few activities, including ATM withdrawals and PIN POS transactions. Over time we’ll experiment with pricing. We are creating a platform; we want people to use our products but we’ll also give people access to other products. To the extent we have other revenue streams, over time our goal is provide users with strategies to avoid as many fees as possible. Q. What is your next product? A. We have a robust 18-month roadmap for adding new products and services and growing engagement on our platform. With the prepaid card, we next want people to be able to do mobile check- cashing, so they have an alternative to check-cashing stores. As an experiment, we took an $80 check – written from an account at a name-brand bank and made out to an individual to a check casher – and walked out with $64.00. So we want to provide an alternative to people. They’ll be able to put that money on their MoCaFi prepaid card and then move that money to any other account they may have if they want to. We’ll also be able to accept direct deposit. Next on the roadmap is allowing people to see their credit scores. That’ll be a part of the value proposition. You’d be surprised by the number of people who don’t know their credit scores. We want to do this as a first step to help educate people that their credit score is out there and that they should be thoughtful about how they manage it. This will be our first step toward financial education. The next phase for us will then be thinking about how we address the issue of cash flow challenges a lot of people have. Q. That really jumped out at me when I read the FDIC report – the role that income volatility plays in keeping people either underbanked or out of the banking system entirely. If you have volatile cash flow, traditional banking products can be punitive. If you take my average balance, I might have plenty of money. I just might not have it when I need it, and overdraft fees are needlessly expensive. A. The bills come on a regular cycle but the cash flow doesn’t. The question we’re asking is, how do you solve that small dollar credit gap? The statistics show that 40% of overdrafts are caused by transactions of $20 or less. Q. So the overdraft fee can be more than the amount you borrowed? A. That’s correct. So that’s a cash flow issue. That’s where we really want to begin to differentiate ourselves in terms of solutions in the marketplace. Q. So you are looking for banks to partner with you on new products that meet the needs of this audience on this cash flow issue? Q. How will MoCaFi be regulated? A. From a regulatory standpoint, our obligation is to work with financial services companies that are regulated by the appropriate state and federal agencies and to provide the appropriate disclosures. We are taking advantage of our partners from that perspective. They are highly regulated companies and appropriately so. So, at onset, we are not regulated. However, we recognize that we’ll be the face of regulated companies, and that we need to organize ourselves and operate as if we were regulated. We’ll have all of the controls, policies, and processes in place so that if a regulator were to walk into our offices, we would find ourselves with a clean bill of health. That’s just a part of how we want to hold ourselves to the highest standard – particularly because we are working vulnerable people. The beauty of starting a business from scratch in a highly regulated field is that you can build a framework that is within the aspirations of the regulators. I was with the CFPB recently, walking them though our business model and showing them how we are thinking about the customer and the products we want to offer. So, if we want to offer products in the future that will require us to be regulated, they’ll be familiar with us and we’ll be ready to roll. Q. Is it fair to compare MoCaFi to Credit Karma for the underserved? A. A little bit. People with knowledge of their credit scores will have access to other products and services from a referral perspective. We think of ourselves as an open platform. Traditional banks are really focused on their own products and services. You can’t go to Chase and get a BofA product, even if it’s better for you. Too much choice causes confusion, so we’ll likely offer people the best one or two. A. A healthy banking product is one that allows somebody to move beyond that immediate transaction. Put another way, if you took a payday loan out today, and you pay it back, that only positions you to take another payday loan. No one else will know about it. The credit bureaus can’t give you credit for that. So one definition of healthy is that if you exhibit responsible behavior, you get credit for that over time, which improves your credit score. If you can get credit for responsible behavior, that leads to healthy behavior. If you don’t have access to other forms of credit, you kind of get stuck. So healthy to my mind also means access to choice. If you can get a payday loan, a small dollar loan, or a credit card, that’s a healthy thing. If you can see what the pricing is and make an informed decision, that is also healthy. Choice equals health. The amount of money you spend on financial services shouldn’t be disproportionate to the other things in your personal P&L. That some people spend more on financial products than on food is unhealthy. Q. Tell me about your revenue model and about MoCaFi as a business. A. Our goal is to run this as a business and attract one million consumers to the platform over the first five years. We have multiple revenue streams. One is from transaction activity on our platform. Another is from fees for referrals to other financial products. We haven’t talked about it, but banks have an issue called CRA, so to the extent we are active in communities that give banks access to CRA-type customers, they are happy to pay for those referrals. To the extent that we can serve up targeted ads in a mobile environment, that’s another revenue stream. The more we know about each individual, the more we can serve them opportunities to where they are at that moment. We intend to fully exploit that. We’re also thinking about a subscription model as we wrap in other products and services. Those are the four revenue streams. Q. What are your plans for marketing? A. We have a multi-pronged strategy. One aspect is good-old-fashioned guerilla marketing. We’ve got a social media strategy. We’re going to use radio, starting in New York. We see real opportunity in working with affinity groups. We’re talking to unions which have underserved members. We’re also talking to city officials here in New York. Something like 850,000 individuals in New York are underserved. In minority majority areas, there are only 1.2 bank branches for every 1,000 households. This is compared to 3.6 bank branches for every 1,000 majority white households. Q. How important is that convenience factor? Does the ability to walk to an alternative finance storefront in your neighborhood tip the scales in their favor when to get to a bank branch you may have to take the subway? A. It’s location, location, location. The bank model revolves around a branch, and the branch comes with significant cost. You have to pass a certain threshold to keep the lights on and pay the tellers and the rent. And that doesn’t lend itself to a business model based on a high volume of small dollar transactions. 80% of the branches that have closed in the U.S. over the last five to ten years have been in low and moderate income communities. We wanted to use a community-based bank for MoCaFi. We were very deliberate in choosing the bank that would be our business bank. It was here in Harlem. We opened up our accounts there. It’s a great organization. And then six months into the relationship, we got a note that said they were closing our branch. It was symptomatic of the challenge that banks have in terms of providing brick and mortar in these communities. The tradition at banks is just not geared to effectively serving these communities. It’s not a criticism, it’s more the reality. Mobile solves some of the branch problem, and with mobile, you’ve taken out a big chunk of the cost base and that broadens the number of people you can serve. So we’re a mobile-first platform. 90% of the underserved community has mobile phones and 75% of those are smart phones. We’re going to offer both Android and iOS apps. In the community we’re targeting, Android is equally if not more prevalent, because of the low cost of the phone. Then there’s the issue of trust. Not everyone feels comfortable walking into a bank. They worry that they don’t have enough money to open an account. As a result, they go into some of these alternative financial services providers, which do a great job of customer service. They just feel more comfortable. A. That’s what it is. They create a more welcoming environment, they know your name, and they’re very transparent. And the fees are terrible. But they’re open when people need them. Some of these places are open from 6:00 a.m. until midnight. The bank’s hours are 9:00 – 5:00 or 9:00 – 3:00. The convenience level is such that people can access them when they’re coming home from the second shift. So there are lots of factors that make bank branches not as desirable. But when you have communities with one or two or three bank branches compared to others that have 15 for the same density, it’s easy to see how people are forced to make other decisions. It’s not like people who depend on alternative financial providers aren’t savvy. Q. How do your potential customers view AFS providers? Do they view payday lenders, etc., as poor alternatives to traditional banks or do they see them as offering some legitimate advantages? A. They’re aware that they’re paying egregious fees. I think that sometimes the need for the cash outweighs the fact that the fee is egregious. Life sort of gets in the way. One of my teammates was in one of these places and standing behind a person who said he was working 40 hours a week but only getting paid for 30 because he’s using these places to get his check cashed and for other services. Some people don’t have a lot of alternatives, and the providers of these alternative services don’t have a real incentive to change because they have a pretty good business model. Another thing for some people in this demographic is that it may be all they know, which highlights the underserved concept. Q. What are your plans for educational content and functionality, and how much will be available to consumers for free? A. We have a wonderful partner in MasterCard. MasterCard has a program called Master Your Card. They’ve put together some really interesting pieces on how you can use your credit card or prepaid card and other tools to be much more efficient in your financial life, particularly for the underserved market. We’ll take some of that material and provide it to our users for free. We’re also coming up with our own pieces that address the needs of this community. We intend to establish ourselves as thought leaders addressing these issues. Q. One of the challenges around financial education efforts is that while some people are interested in the topic and will seek it out, most people will not. How do you reach people who may need it but aren’t going to be proactive? A. People don’t focus on a topic until they need it. If you’re not buying a home, you’re not worrying about that topic. So our strategy regarding content is to reach people where they are and to help them solve the particular issue that they have at that moment. People care about price and convenience. If we can provide people with an alternative that’s cheaper, faster, and more efficient, we will use that as an opportunity to have a further conversation. Behavioral science is an aspect of our business that we want to develop, particularly on the savings side. But you can’t just tell people they should eat their spinach. We all know we should eat our spinach but we don’t always want to hear about it. With individuals who see that we are a trusted brand and that we provide real value and make their lives easier, we can engage in a conversation about what they are doing and make recommendations. The long-term vision is to be able to provide people with a financial roadmap they can use. If we know who you are, what your spending habits are, and where you are in your life, we can give you a roadmap you can implement yourself, or we can make product recommendations for you. Q. You’ll be accumulating a great deal of data about people’s financial habits. Will you send alerts warning people when they’re about to do make a purchase that maybe they shouldn’t, or congratulating them on achieving a spending goal? A. Yes. We’ll do both. But we want to do it in the context of the bigger picture of their financial plan. Q. What steps will you take to engender trust within your target audience? A. That’s a great question. There are two ways we are thinking about that. One, it goes to the partnerships we develop. We’ll take advantage of the quality names of the third parties and affinity groups we work with. If we can gain the confidence of people at the senior levels of these organizations, it gives us credibility with their members. The other piece is that we think our values and reasons for starting this organization will resonate with people. There is a sense in the marketplace, particularly given the revelations about Wells Fargo, that banks aren’t always on the side of the consumer. You can’t rely on a comp plan to manage the individuals who are sitting in front of your customers making recommendations about products and services. You need to actively manage those individuals. If you leave it to a comp plan, you’ll see behavior you don’t want to read about in the papers. The other piece, and this is true of everybody, is that there was a time when relationship banking really happened. Q. It used to be that when you went in to ask for a loan, they knew you. They knew your character. Underwriting was not algorithmic. A. That’s exactly right. And we’ve lost that. Q. Let’s talk about that. Do you think banks are accurately underwriting these applications or are they missing the boat? Are they saying no to loans that are actually very attractive? A. I think there is a group within the underserved population that represents an attractive risk. But if you have a thin credit file, or no credit file, it’s a non-starter from a conventional underwriting perspective. The traditional banking organizations are looking at large numbers of people and no one in the branch has the individual authority to approve a loan. And by the way, no one can go to a bank and be approved for a $1,000 loan. You can get a credit card with a $1,000 limit, but you can’t get a loan for than amount of money and leave with cash in your pocket. The other challenge is that the regulatory environment is unclear for the banks in terms of how to make the small dollar loans. And the scalability, of making $1,000 loans efficiently? If you make a $1,000 loan and charge 30%, you only have $300. That’s not a lot of money. So there are some economic challenges. Q. So what can MoCaFi do to address that? A. We’ll have new data sets. We’ll have the ability to bring some behavioral science into the conversation in order to determine your intent and marry that with your credit score and your transaction history. Plus, we’ll have a lower cost of acquisition. We don’t have the overhead of a branch network. Right now, if you go to a pawn shop, a payday lender, or a title loan company, you’re basically doing collateralized lending. No one has taken the time to learn anything about you or the purpose of the loan. Now, understand that it’s very easy to give money away. It’s challenging to get it back. But what we believe is that of those individuals who use these alternative financial providers for loans, there is some significant percentage you can loan money to on an underwritten basis. We think it’s a huge market. Q. Do the underbanked want to be referred to as underbanked and do they know they’re underbanked? A. No and maybe. They don’t like to be referred to as underbanked. One thing you’re going to see from us very soon is a revised website that won’t use the term underbanked. Underserved is a better term. If you say “underbanked,” most people will tell you they’re not underbanked. They may know five people who are underbanked but they are not. People may realize they’re underserved because they’re aware of their reliance on firms that are outside of the banking system. Q. Are you still planning a Kickstarter campaign? A. We are. Our Kickstarter campaign kicks off on the 29th of November – Giving Tuesday. It’s to build buzz around what we are building here at MoCaFi, to allow us to raise some money, and to create a list of people who are interested in what we are doing. There are some key themes we highlight in this campaign. One, it’s expensive to be poor. Two, distributing financial services through mobile technology is a game changer. And three, people need some help making smart financial decisions. Kickstarter for us is an opportunity to get our values out in front of people – explain who we are and why we exist – and get people excited about it. Every time we talk about it, people say they’d love to help give people better alternatives. But not everyone is in a position to make an angel investment. We think Kickstarter is a great way to engage people. Q. Are you intending to tackle consumers and small businesses simultaneously? A. We intend to start with consumers. I love small businesses and think there is huge opportunity there. Most small businesses, frankly, look like consumers. They buy in the exact same way. Every other day, I have had a conversation with a small business owner who says he or she has employees who need our services. They can’t wait for us to get into the market because they want to get us into the hands of their workers. So we’re not targeting the financial problems of small businesses but rather solving problems for their workers. Q. What else do you want people to know about MoCaFi? A. This isn’t a black problem, it isn’t a Hispanic problem, it isn’t a white problem, and it’s not an Asian problem. It’s an American problem. We see it as an opportunity to solve the problem for everyone across the board. One important concept is that MoCaFi isn’t a charity. It’s a business with a sustainable, repeatable model. Everyone understands that there’s a problem. A sustainable business model allows this segment to be well-served over an extended period of time. The economics have to work for everybody. We are excited that there are others trying to solve the problem as well – you’ve mentioned Bee. They are a terrific company with an interesting approach to solving the underbanked problem. We believe that there’s enough opportunity for everybody. At the end of the day, competition will assure a better experience for the consumer and access to better products. This entry was posted in Banking and tagged underbanked by jim. Bookmark the permalink.